SANTA CLARA, Calif. -- A Silicon Valley teenager is proving it's never too early to become an entrepreneur. Shubham Banerjee of Santa Clara has launched a company to develop low-cost machines to print Braille. 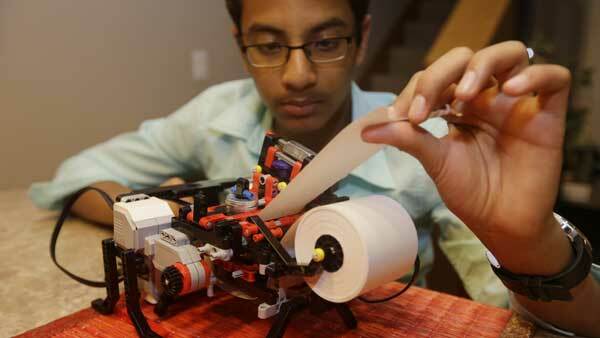 Shubham built a Braille printer with a Lego robotics kit as a school science fair project last year. Intel invested in the 13-year-old's idea after he made a prototype out of Legos. The teen's company is called Braigo -- a name that combines Braille and Lego. He hopes to sell the printers for $350, which is far less than ones now on the market.